With a career that spans over 30 years, Denise Berger oversees the day-to-day activities of the engineering department which is comprised of 570 staff members and a professional services budget of $1.3 billion. She ensures that design and construction management are aligned to deliver the agency’s $32.2 billion ten-year capital plan and oversees the department’s program management, project controls, project scheduling, construction cost estimating, technology, strategic planning, and the department’s financial services. Through her long-term vision, she shaped the culture of the agency by promoting excellence in transportation planning, design, construction and elevated environmental stewardship and resiliency. Berger has led many large-scale capital projects across all business departments including aviation, tunnels bridges & terminals, Port Authority Trans-Hudson (PATH), Ports and the World Trade Center. After 9/11, she handled significant sensitive projects related to the World Trade Center Master Plan. She is also credited with leading the department’s initial response to the Super Storm Sandy recovery efforts. In addition to her professional accomplishments, Berger has dedicated time to inspiring high school students to pursue careers in design and construction. 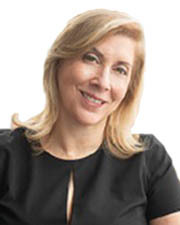 She serves on the executive board of directors of ACE (Architecture, Construction and Engineering) Mentor Program of Greater N.Y., WTS International and Professional Women in Construction. In 2016, Berger founded the Port Authority Women’s Council, whose mission is to empower women to advance in leadership roles.